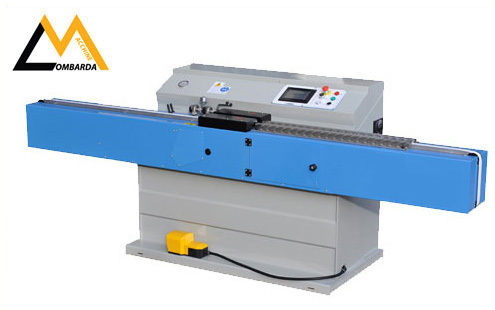 The butyl extruder machine is fitted with a special automatic hydraulic valve which allows extruding continuously the same quantity of butyl with high precision, on both sides of the spacer. The profile holders and the butyl application start and end are synchronized with the machine operating speed and do not need any adjustment. The touch-screen operator panels ensure a simple and intuitive operation. Thanks to the realistic and captivating graphics, the panels are extremely functional. A protection degree IP65 makes them suitable to be used in all industrial environments. 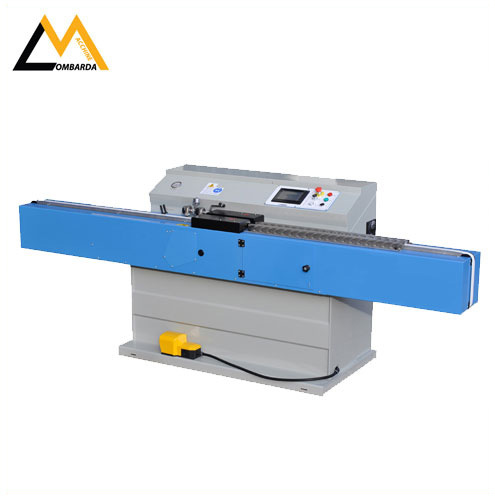 The machine can save up to 99 custom settings, with different regulations butyl, working speed, temperature, etc.. The auto-off function of the motors after 4 minutes of inactivity reduces the consumption of energy and ensures the components durability. The machine also set the basic functions of alarms diagnosis and monitoring.